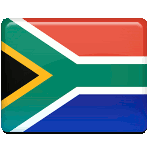 Day of Reconciliation is celebrated in South Africa on December 16. This public holiday was observed for the first time in 1994 after the end of apartheid to foster reconciliation and national unity. Before 1994 Afrikaners of South Africa commemorated December 16 as Day of the Vow. This was a religious public holiday, commemorating the anniversary of the Battle of Blood River fought in 1838. This battle was fought between the Voortrekkers, the Afrikaner emigrants to South Africa, and the Zulus. During the battle 3,000 Zulus were killed, while the Voortekkers were only lightly wounded. Before the battle the Voortrekkers took a public vow, that they would build a church in return of God's help in obtaining victory. This event led to the establishment of the holiday of Day of the Vow. After the end of apartheid the government of South Africa made a decision to designate December 16 to be Day of Reconciliation, that would promote national unity. Celebration of Day of Reconciliation opens the official summer 16-day holiday period. During this period people enjoy Christmas, Boxing Day and New Year's Day. Many businesses close down at this period of time and employees go on leave.